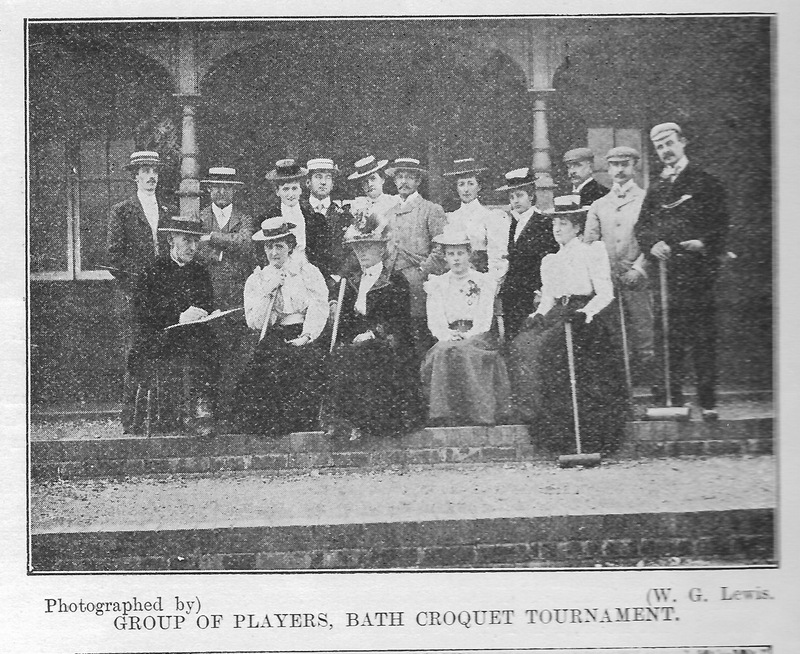 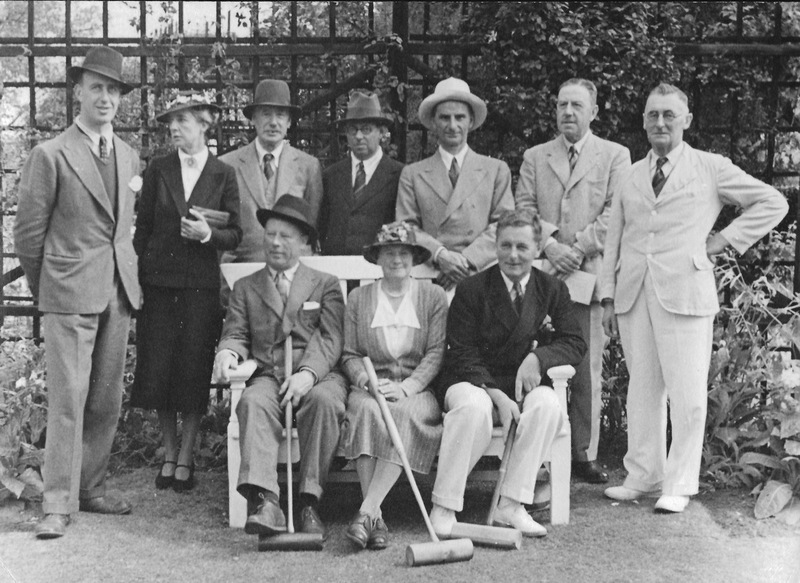 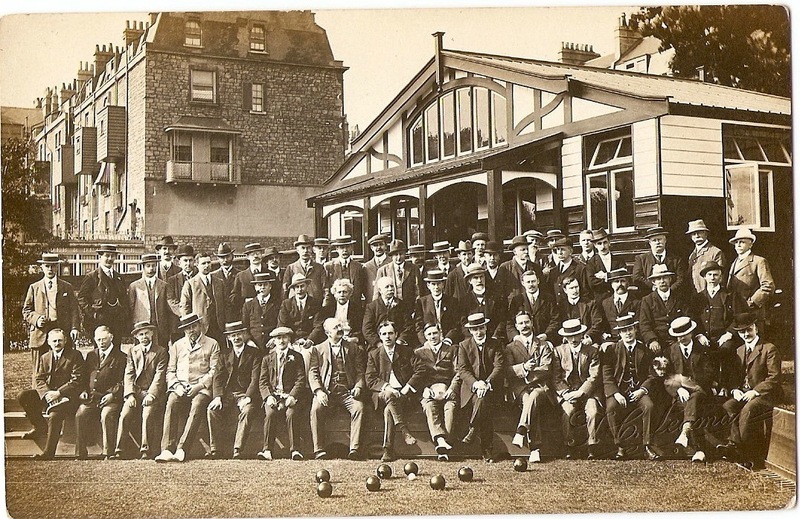 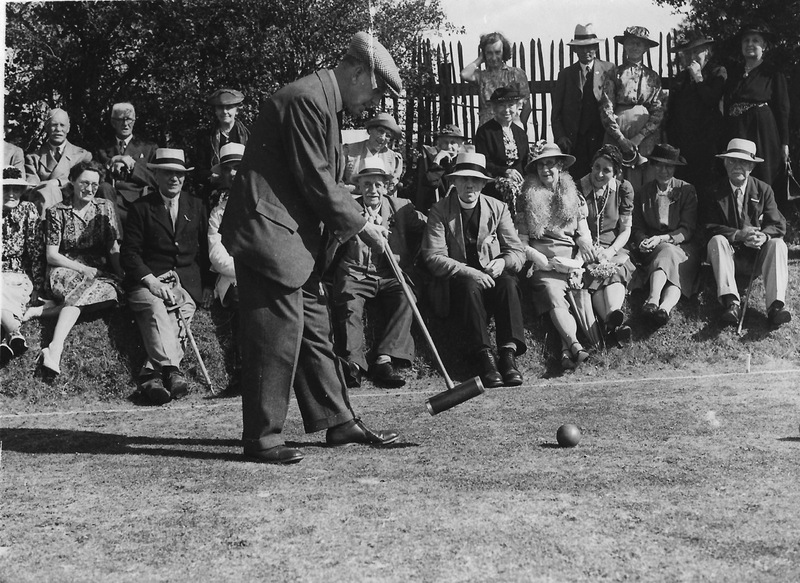 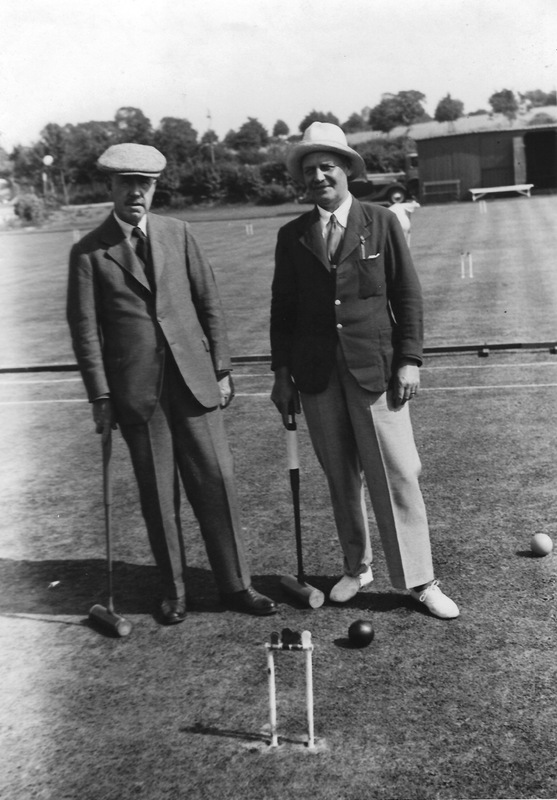 At one time there were as many as seven different croquet clubs in Bath! 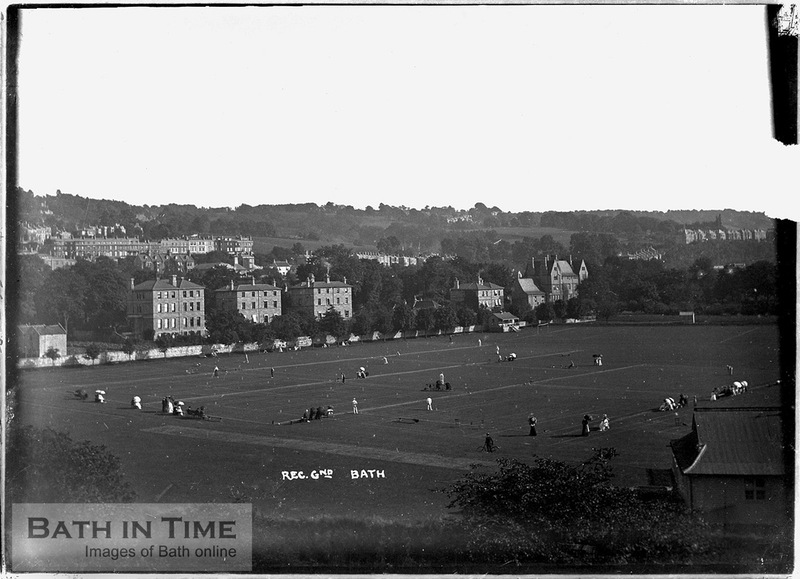 Bath’s first national tournament was held in September 1896 with eight lawns laid out at the Lansdown Cricket Ground in Combe Park Road. 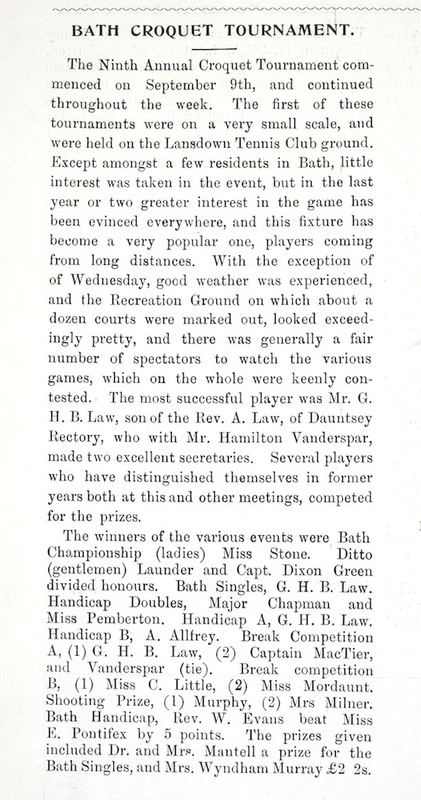 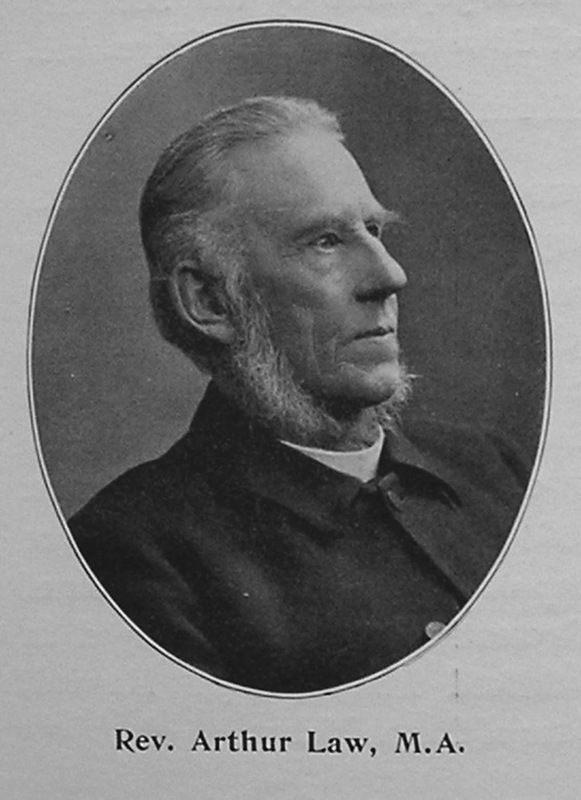 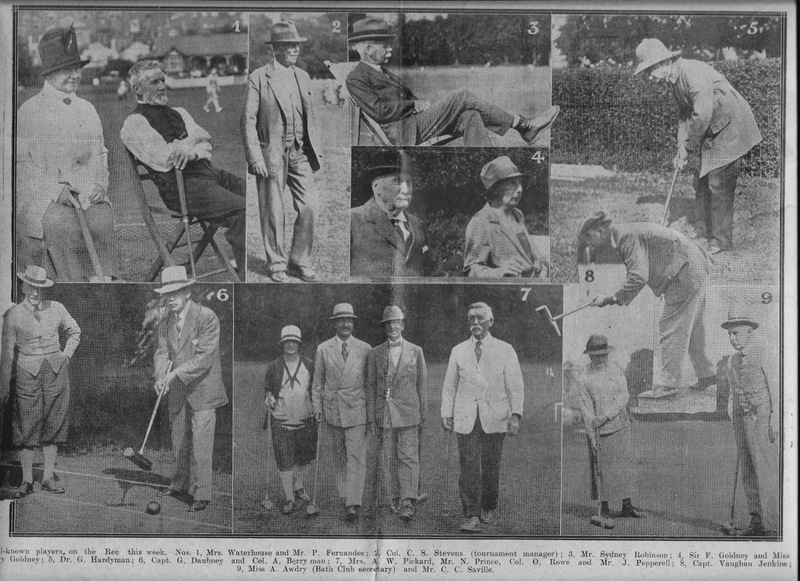 Rev Arthur Law, the vicar of Dauntsey and a leading player since the 1860s, was central to this first tournament and remained a key figure in organising the Bath tournament until the first world war. 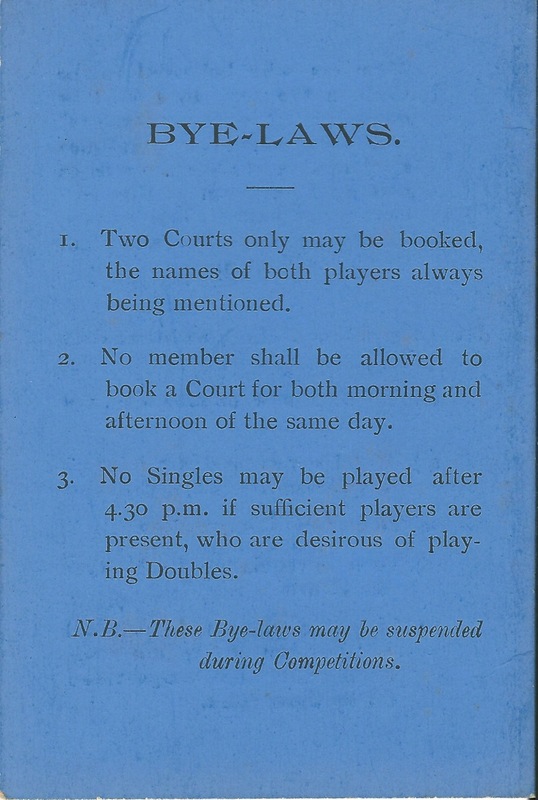 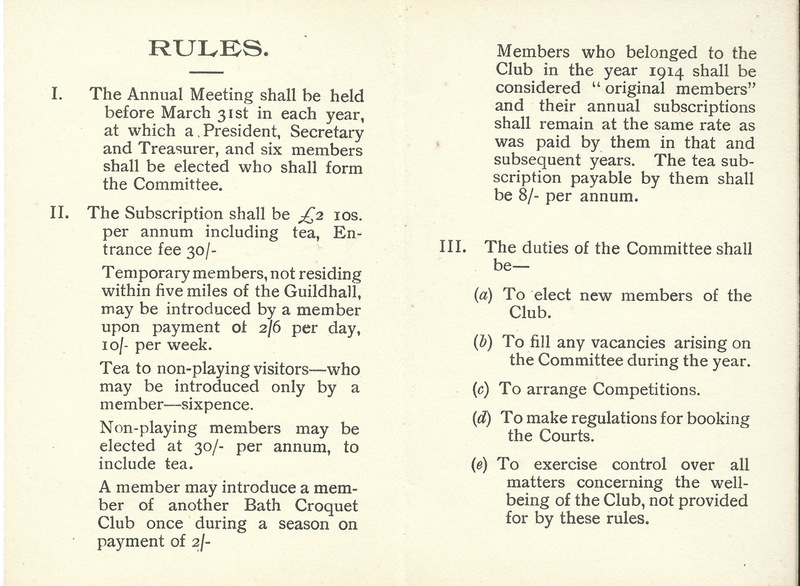 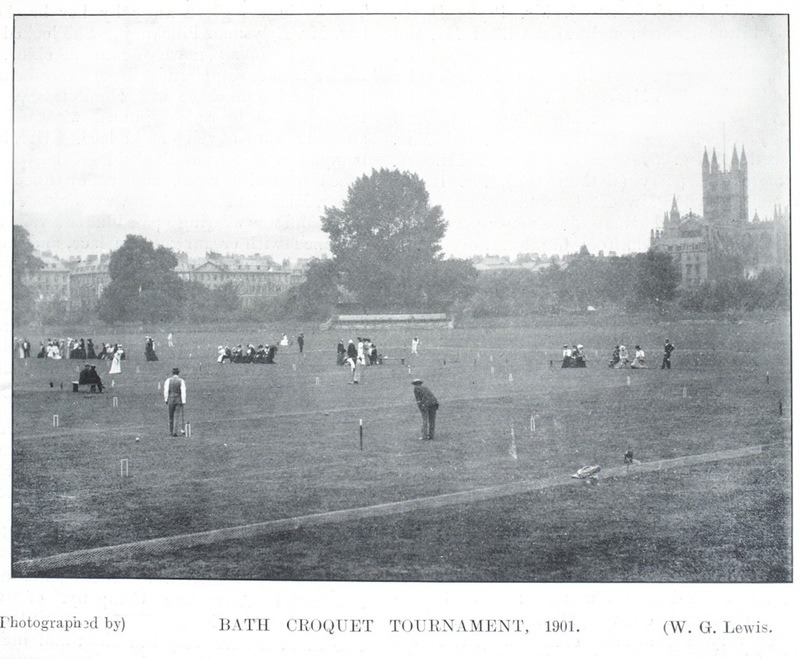 The location of Bath’s annual tournament was moved to the Recreation Ground in 1898 and open tournaments took place there each year until 1938. 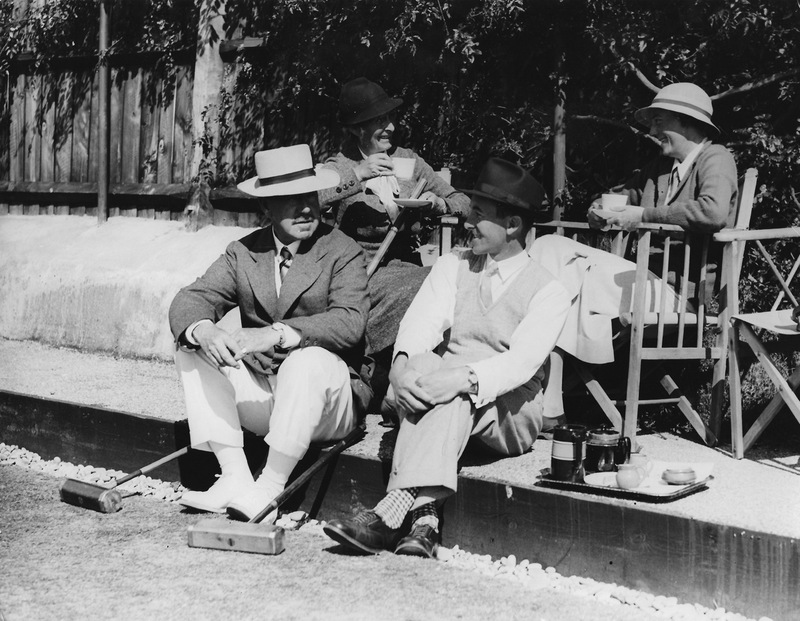 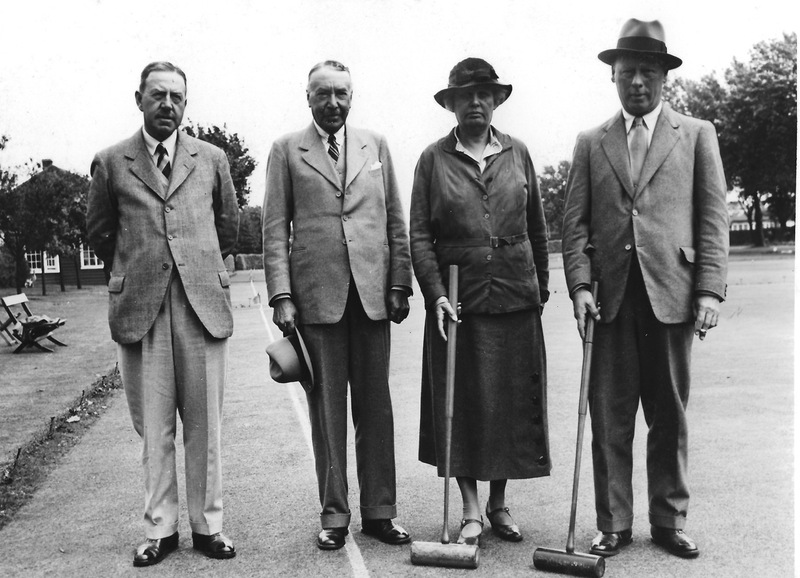 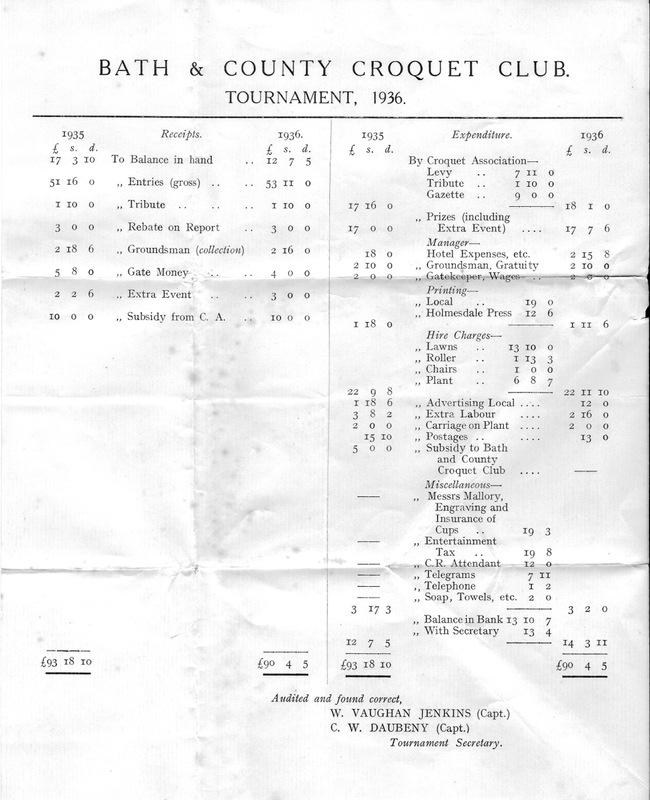 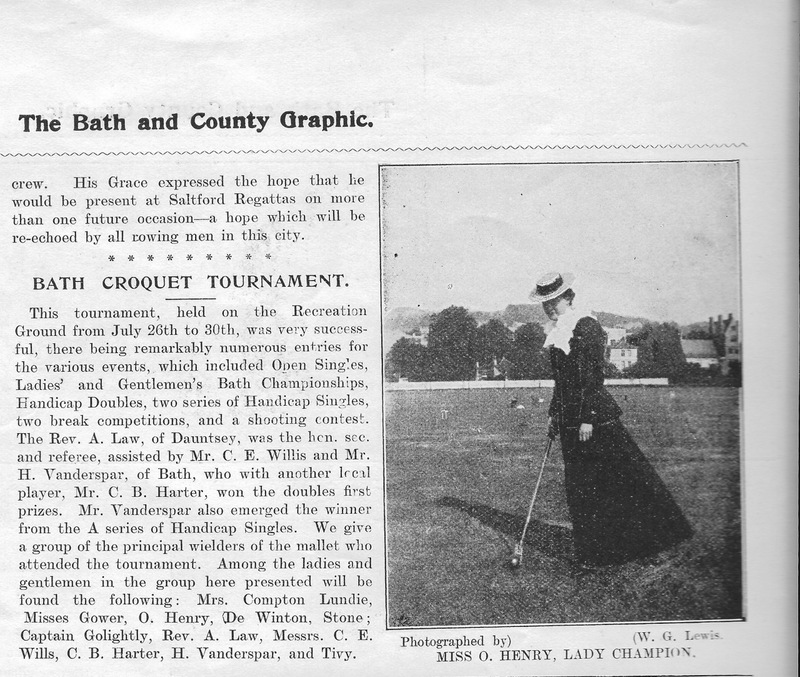 The Bath Tournament was organised by the Bath & County Croquet Club. 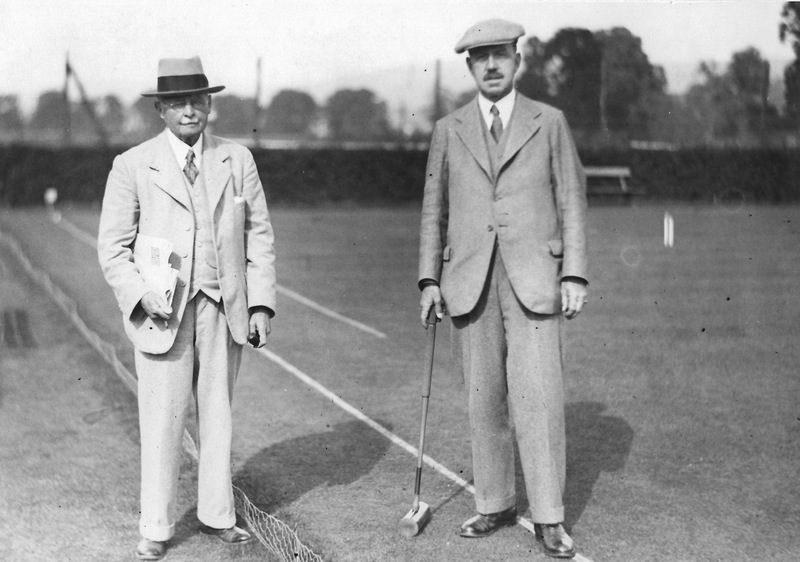 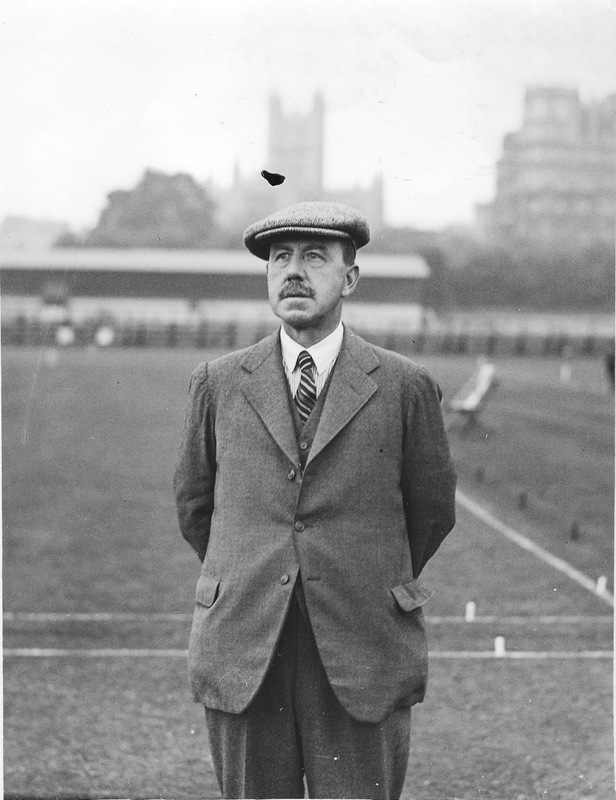 Captain Vaughan Jenkins was the Club’s leading player and Chairman throughout its heyday in the 1920’s and 1930’s. 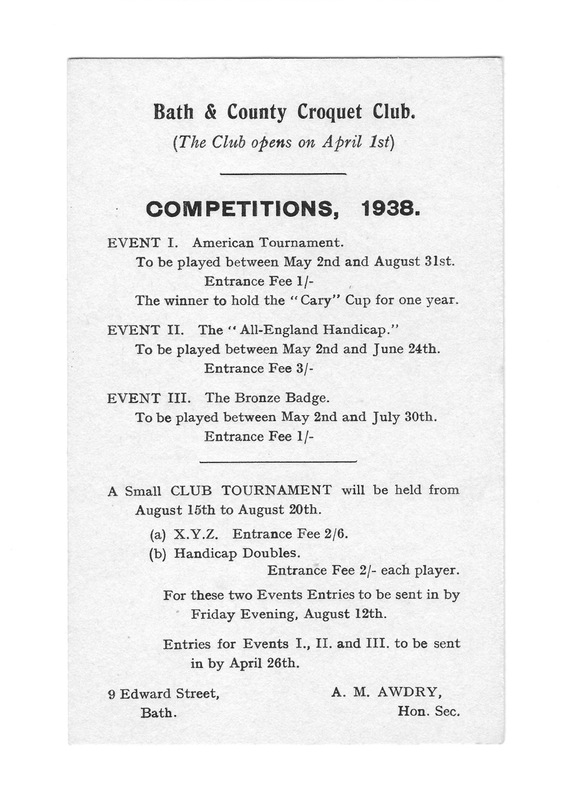 The Vaughan Jenkins family kindly left his croquet records to the Club which included his personal croquet memorabilia as well as Club records. 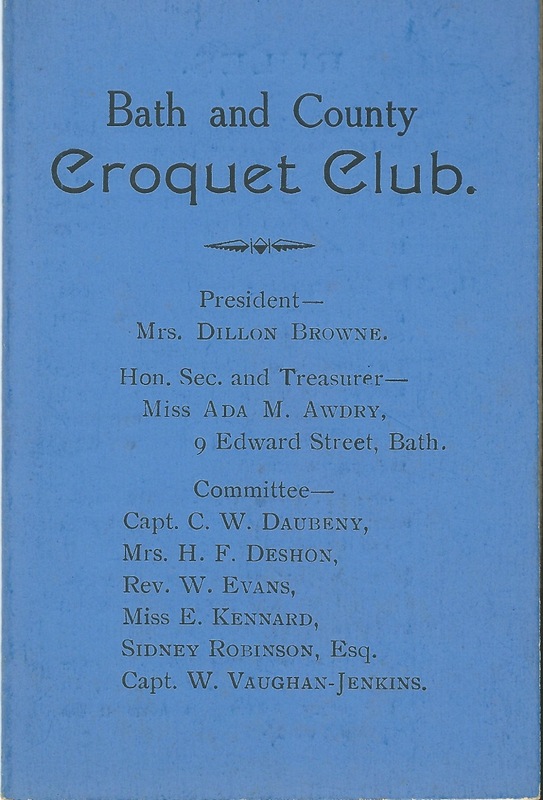 The Bath & County Club closed in 1947, at that time Bath’s last croquet club, due to a lack of members until Bath Croquet Club was re-formed in 1976.